Imagine having some of the most ambitious, talented young advertising execs competing to create a free campaign for your charity. Sounds good doesn’t it? Enter the Cannes Young Lions Competition and make it a reality. The Cannes Lions International Festival of Creativity has been recognising the best in communications since 1954. It has grown to become the world's biggest celebration of creativity in communications, with more than 35,000 entries from all over the world. The Young Lions Competitions are an immensely popular part of the festival, where young advertising professionals from creative agencies across the world compete in seven competitions. The teams of two people aged 28 years or under, represent their nations by creating a campaign in less than 32 hours (48 hours for film) following the briefing from a client organisation. The selected clients come from charitable or not-for-profit organisations, which are then free to use the resulting work as they wish. In return for providing a real business brief, these organisations gain creative inspiration from the industry’s brightest young talent, as well as PR exposure and networking opportunities both during and after the Festival. Macmillan Cancer Support and HelpAge were selected as clients for the Young Lions Competition in 2013. Read about their experiences: Hilary Cross, director of external affairs at Macmillan Cancer Support and Attila Kulcsar, media relations manager at HelpAge International. Previous 'clients' have included: WADA, Movember, The Gates Foundation, UNICEF, War Child, Amnesty International and Film Aid. In 2014, seven different Young Lions Competitions will be held during the festival week: Cyber, Film, Media, Print, Design, Young Marketers and PR – reflecting the range of disciplines in creative communications. For each competition, each chosen charity is asked to present their brief in Cannes in their respective category. The names of the charities involved in the Young Lions Competitions are confidential until the briefs are revealed onsite in Cannes. While the festival does not cover the charities’ expenses of attending the festival, we offer the intellectual property of the ideas that emerge from the competition. The representative of the charity is also offered a delegate pass for the full festival week. 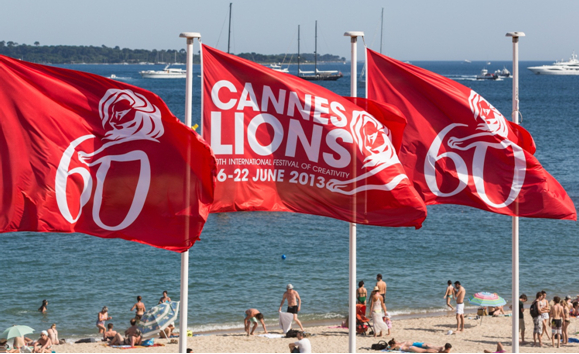 The Cannes Lions International Festival of Creativity will be held from 15-21 June 2014. Liza looks after the Young Lions Competitions and Academies at Cannes Lions and across all the regional festivals. For Cannes Lions 2014, the talent & training department is curating the content of 11 training programmes specifically designed for young professionals working in the advertising and marketing industry.